Fantastic – rare – unusual – ugly to some – but it is an “original” (but original ‘what’? some will ask). 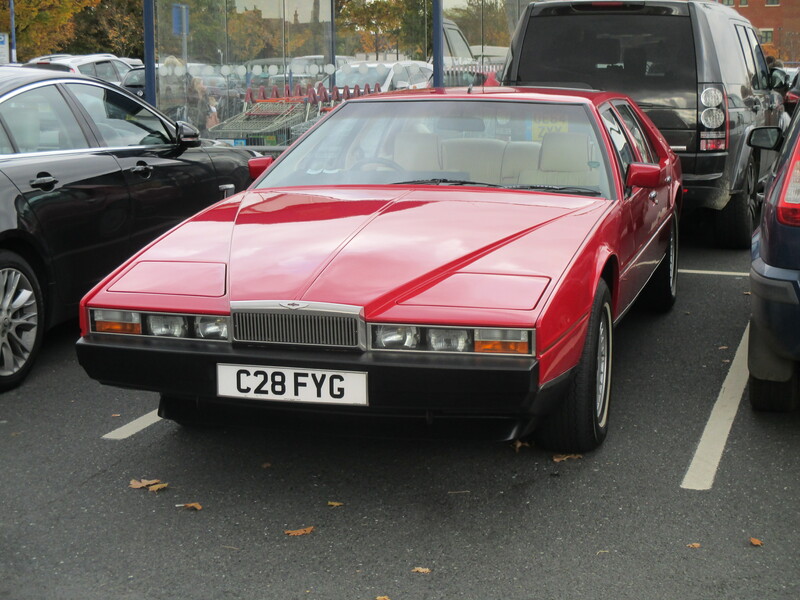 Only 645 Lagonda – Aston Martins cars of this “paper folding” design were produced over a 14 year period (1976-1990). But it was in immaculate condition which raises the question : Who would leave it parked in a busy supermarket car park on a Saturday afternoon in Bridgnorth, Shropshire ? The chance of ‘dinging’ seems too high to risk it to go shopping.